DOWNTOWN LIFE WITH LUXURY AND LOCATION!Unbeatable for this price!Fabulous kitchen renovation with granite/stainless steel appliances/gorgeous cabinetry and a killer pantry!! Gleaming wood floors!A front porch, complete with swing and ceiling fan, that guarantees a relaxing end to every spring and summer night! Wait until you see the deck and the backyard! The party lights are already up and ready for summer bbq&apos;s!All of the heavy lifting has been done here(NEW furnace!NEW central air!NEW hot water heater!!) Storage galore in this home(highly unusual in a home of this age). Fully functional basement (also highly unusual!) has rec room, home office space and tons of storage. The location is sublime! 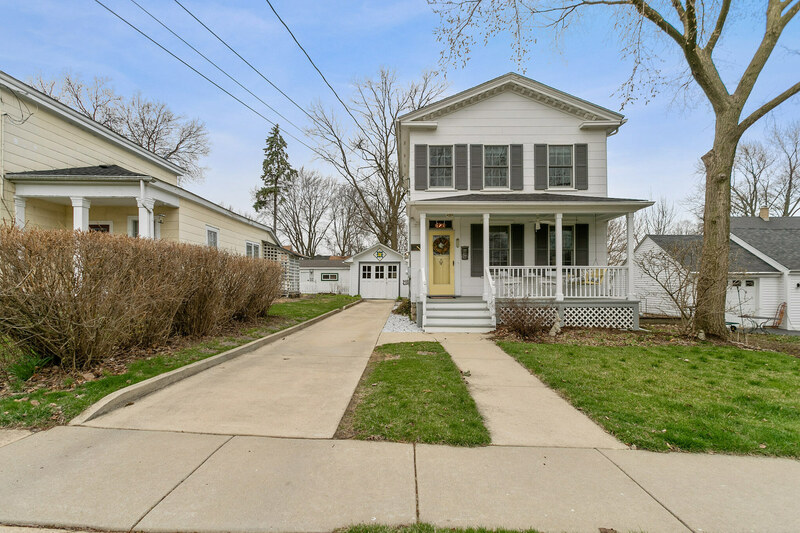 3 blocks from the entrance to Wheeler Park, 4 blocks to River Park and the banks of the Fox River, and 4 blocks to the heart of downtown Geneva. If you are a commuter, the Metra is 9 short blocks from your front porch! Easy living in this charming historic home! MOVE RIGHT IN!